WIN! LEGO Year Of The Dog Set! Calling all LEGO fans! Have a barkingly good time this Lunar New Year by ushering in the Year of the Dog with LEGO at City Square Mall! Happening from now till 4th February, join in the LEGO festivities such as LEGO Year of the Dog building challenges, where the fastest family team will score attractive prizes! And commemorate the lucky moment by snagging photo-taking opportunities with a woof-inspiring 1-metre-tall dog made entirely out of LEGO bricks! What’s more, look out for new and exclusive LEGO Duplo, LEGO Friends, and LEGO City novelty sets showcased at the event, as well as limited-edition signature LEGO Year of the Dog collectibles. Available in three different sizes – the Micro LEGO Dog, Year of the Dog LEGO Set and 30cm LEGO Dog – get a chance to redeem these auspicious goodies! WIN! 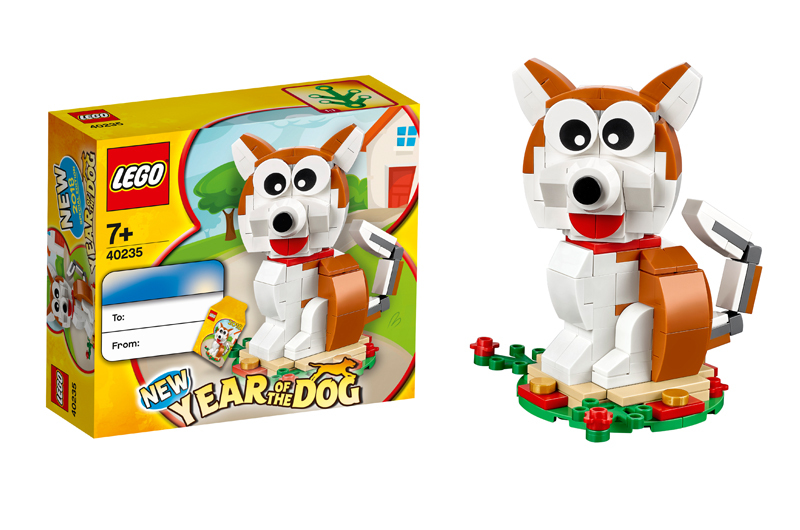 We’re giving away two LEGO Year of the Dog Set collectibles. Register below to win! This has ended on 04 Feb 2018. Closing date for this contest is 4 February 2018. This contest is open to all Singapore’s Child online members residing in Singapore only.